Based on the Japanese Kawaii attitude Miss Manga mascara is all about the playful full doll like lashes. The black and pink packaging is fun and continues with the theme. The brush is fairly thin, and it tapers towards the tip, it's well coated and actually extremely flexible. It features a 360 degree wand but it's not something I have utilised. I get the idea behind it but think in practice don't think it works. I used this for a good few months and when I initially used it I thought it was good, but I wasn't blown away. The formula at first was really wet and that’s not something I usually go for. I had to wipe the brush a few times before applying and once I did I was happy with the results. I continued using it for a few weeks and noticed as time went on and it dried out a little I was getting much better results. Fast forward to now and I can’t believe the difference. When I apply now I just think WOW where did all those lashes come from? This super black formula adds length and volume and doesn't clump or flake. It’s a not a formula everyone will love. If you have shorter lashes I see it being very messy to apply and you may end up with more clumping instead of volume. Those with already fairly longer lashes will find this adds great length and fair volume. It’s very lightweight and doesn't make my lashes stiff or crunchy and removes easily without smudging or flaking throughout the day. I also like to apply this on my lower lash line and with no problem at all it coats my lashes nicely. 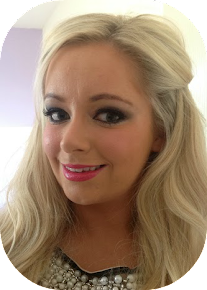 As you can see from my picture below using Miss Manga I achieve nice full black seperated lashes, a win win all round from me! This is also available in turquoise and purple, I have the turquoise also but have yet to try it. Have you tried Miss Manga? 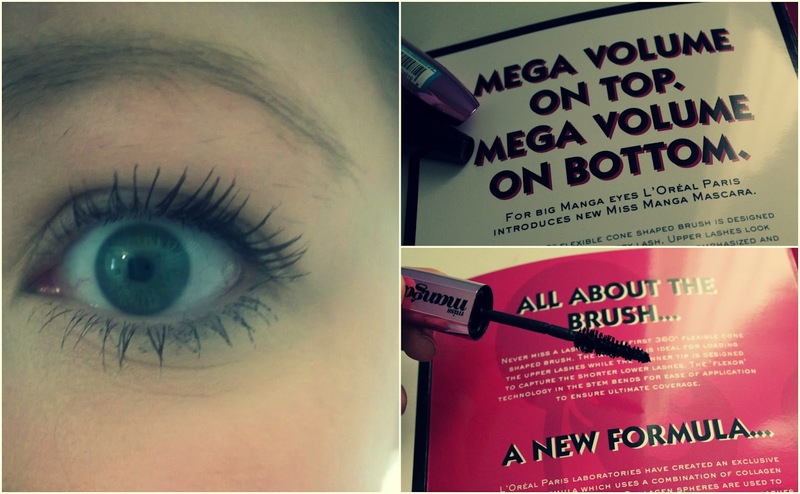 I have tried it and it's my current fave mascara, I use it with Maybelline Great Lash and I love the way it looks! A little bit prone to clumping but I find if you're careful and you wipe the brush once in a while it's spot on!